Welcome to summer breezes, homegrown vegetables, and frosty fruit drinks! 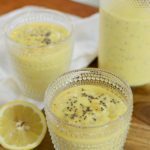 You’ll love this easy and refreshing mango banana smoothie that whips up in a matter of minutes. 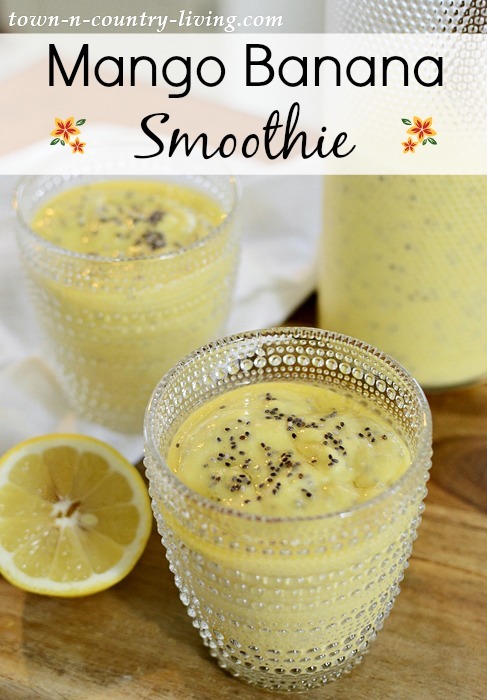 This sunny yellow smoothie features the tropical flavors of mango and banana, with a bit of citrus-y lemon goodness mixed in. It also incorporates a bit of healthy rolled oats, honey, and chia seeds. 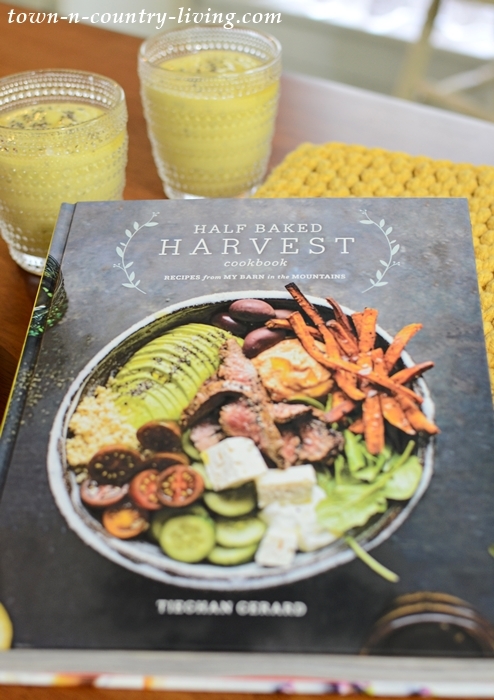 I found the recipe for a mango banana smoothie in my new favorite cook cook, Half Baked Harvest. I’m going to try and make most of the recipes out of this book over the course of the year. It’s just that good! And speaking of books, the winner of French Vintage Decor is Tammie!! Congrats, Tammie – check your email for notification! And if my new-found passion for cooking keeps going strong, I might just feature a recipe every Friday here on my blog and call it “Foodie Friday.” I don’t want to bite off more than I can chew however, so we’ll see how it goes! 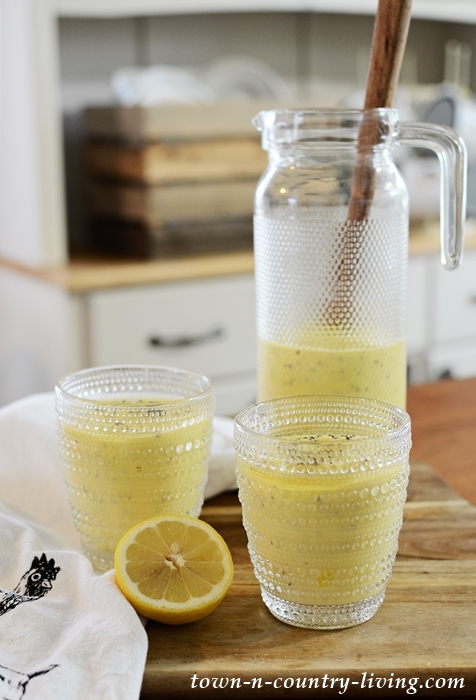 Combine yogurt, mango, banana, honey, ginger, oats, lemon juice, vanilla, ice cubes,and 3 teaspoons chia seeds in a blender. Blend until smooth. Pour into glasses for serving. 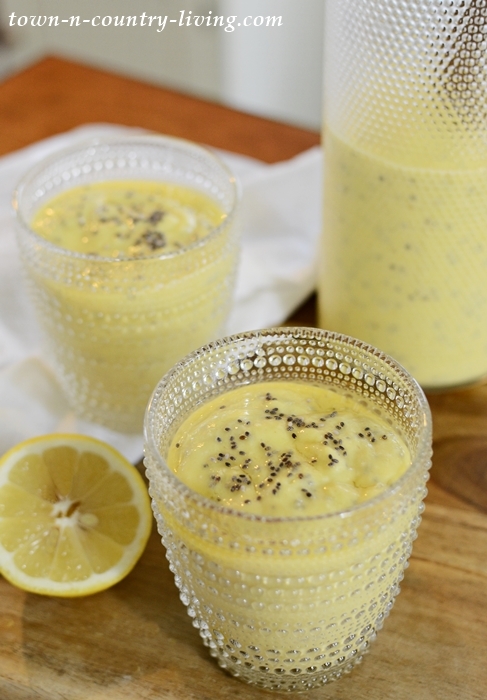 Drizzle top with honey; sprinkle chia seeds and tumeric on top. Leftovers can be stored in refrigerator up to 5 days. I love smoothies but have never made one with rolled oats! I almost always put in chia seeds and turmeric though. Can’t wait to make this one up 😇 Thanks Jennifer.